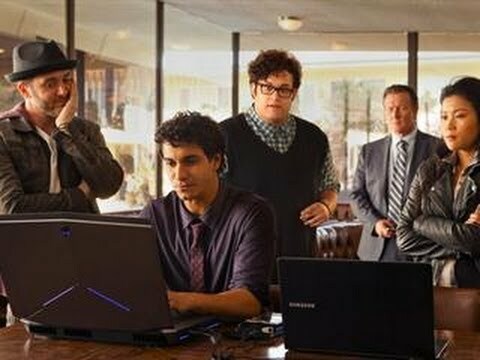 This fall, see into the life of one of the world’s most successful computer hackers on the new CBS series Scorpion. Based on Walter O'Brien's incredible life, the show hopes to portray the challenges Walter faces as the fourth smartest man in the world. Starring Elyes Gable, Katharine McPhee and Robert Patrick, the pilot will follow O'Brien as he solves a software glitch that threatens the controllers' ability to land planes at LAX. Born in Ireland, Walter was diagnosed as a child prodigy with an IQ of 197, at 13 years old he started his company ScorpionComputerServices.com and at sixteen he was ranked #1 in national high-speed computer problem solving competitions. Walter O’Brien is currently the chief executive officer and founder of Scorpion Computer Services. He is one of the world’s leading experts in the application of computer science and artificial intelligence to solve complex industry challenges. Walter has created over 177 unique technology inventions, including ScenGen and WinLocX. The ScenGen is a Scenario Generator that can think of all possibilities for any given circumstance defined in its modeling language. ScenGen has many applications including that it finally makes it possible to ensure that no functional defects exist in a piece of software or that there is no single point of failure (SPOF) in a network. The U.S. Department of Homeland Security certified Walter as being of National Interest to the United States Economy and granted him an Extraordinary Ability EB 1-1 Visa (also granted to Albert Einstein and Winston Churchill). Walter is also an active public speaker to IEEE and teaches as a mentor to the Founder Institute, the world's largest idea-stage incubator, which has helped launch over 510 companies across 26 cities and five continents.